If you think that finding proper and adequate dental care for elderly patients is virtually impossible, think again. In years past dental care for senior citizens was hard to come by if the patient was homebound or confined to a senior care facility. 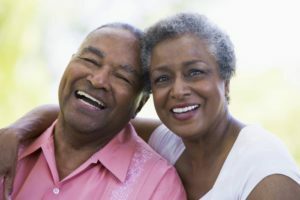 Although not where it needs to be, dental care of the aging population is beginning to look promising. Dr. Alisa Kauffman of Geriatric House Call Dentistry is a frontrunner and trailblazer in the industry. Geriatric dentistry is not what it used to be. Today, with Dr. Kauffman leading the way, the dental office will come to your aging loved one. Bringing the dental office to the patient. That’s what Dr. Kauffman does. She is committed to bringing the very best experience in dental care for elderly patients right to their living rooms, bedrooms, or recliners. Being well versed in treating even the most vulnerable of patients, Dr. Kauffman can perform procedures and treatments from routine checkups to emergency extractions right in the comfort of their familiar surroundings. This is a huge deal since The American Dental Association recommends having a dental checkup at least twice a year. No need to drill every cavity. Geriatric patients cannot tolerate the drill very well. That’s why Dr. Kauffman employs the use of silver diamine fluoride for use as a tooth desensitizer. It’s an antimicrobial liquid that the Food and Drug Administration deemed safe and can be painlessly brushed on cavities to stop tooth decay! No drill means less stress and fear for the aging, sometimes fearful, patient. Compassion. Above all, a gentle touch, along with a caring, passionate heart and soothing demeanor can calm even the most apprehensive of patients. With her extensive knowledge base, coupled with her vastly unique experience, Dr. Kauffman can and will bring a level of expertise and compassion to not only the general dental care for elderly patients but specifically to your loved one in the very place they need to feel the safest and most secure. Providing the utmost compassionate dental work for the elderly is Dr. Kauffman’s life calling. It’s no wonder that she was named one of the country’s top 25 dentists! Her passion and concern for the dental care of the aging community have been duly noted in The Penn Gazette as well as The Washington Post. Give her a call today at (917)826-6278 to find out how Dr. Kauffman can bring her special touch to your aging loved one. Let her show you how dental work for the elderly is done with magic! You may not think of “concierge” as a word fitting for the dental industry, but it is. You may picture a staff member at a fancy hotel who can get you theatre tickets and reserve a ride for you. Whatever your need may be, a concierge is there to provide you with a fast and applicable solution. So it is with concierge dentistry. It is a fast growing trend, especially within the aging demographic. And there is one who stands far above the rest as the top concierge dentist New York City has ever seen – Dr. Alisa Kauffman with Geriatric House Call Dentistry. For patients who are homebound, going to the dentist might be virtually impossible. Having in-home dental services may just be their saving grace. Enter Dr. Kauffman of Geriatric House Call Dentistry. Dr. Kauffman has been featured in articles such as the Penn Gazette, Washington Post, Chicago Tribune, and even as far as the Toronto Star. House call dentistry is what she does. 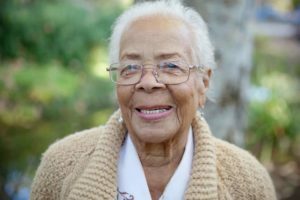 There are several stand out reasons that Dr. Kauffman is the premier geriatric house call dentist in NYC. Trustworthy – Without trust, it would be nearly impossible to be able to do the necessary treatments for patients with dementia, Alzheimer’s, or patients who are in a great deal of pain. Dr. Kauffman knows how to soothe and talk to her patients, helping them to understand what is happening and why she is doing what she is doing. Convenience – Having her come to the patient takes a huge burden off of the caregiver and patient themselves. By providing in-home dental services, Dr. Kauffman brings the dental office to you. She can and does a number of procedures and treatments ranging from emergency visits to second opinions, cleanings to denture repairs, and virtually everything in between. Experience – There’s good reason that Dr. Kauffman has been named one of the top 25 dentists in the country. With her 30+ years of experience in dentistry, including being the clinical director at Penn Dental and three nursing homes, as well as being on staff at Lenox Hill and Mt. Sinai Hospitals, she has the know-how and education to back up her every decision when it comes to the care of her patients. It’s easy to see why she is the top concierge dentist new york city has ever seen! If you have a loved one who is in need of a compassionate house call dentist in NYC, you need to give Dr. Alisa Kauffman a call. She is there to answer any questions you may have. For your aging loved one, Dr. Kauffman just may be their solution to an otherwise stressful situation. Give her a call today at (917) 826-6278 to discuss how to move forward in getting the kindest concierge dentist New York has ever met. If you or someone you love is in need of in home dental care, Geriatric House Call Dentistry can help. Working with families, caretakers, and physicians, we aim to provide the best possible care for our older patients. Contact us today to learn more about house call dentistry or to schedule an appointment.